United's Service Shortcomings Made One Hell of a Twitter Storm: Are Headphones Acceptable Attire for Flight Attendants? United’s Service Shortcomings Made One Hell of a Twitter Storm: Are Headphones Acceptable Attire for Flight Attendants? Whether warranted or not, a number of major U.S.-based airlines have, in the past, garnered a pretty fearsome reputation for providing a service that leaves a lot to be desired. 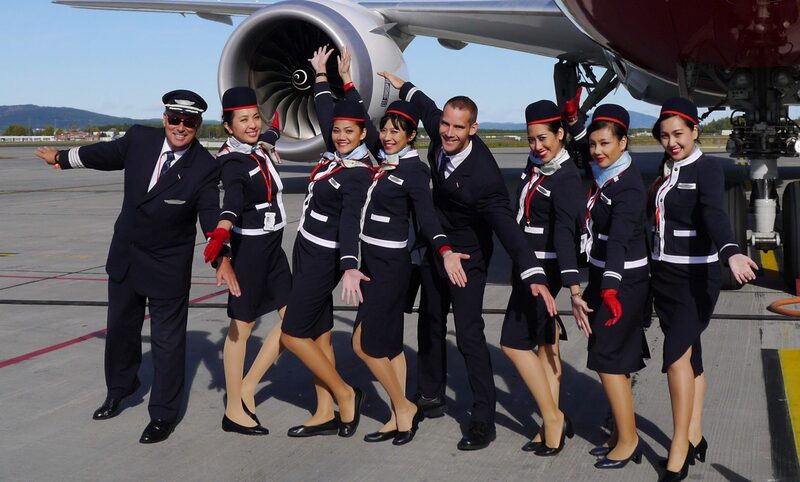 Many of the complaints are often levelled against flight attendants – a group of employees that we know have the biggest impact on the passenger experience. Flight attendants have long argued they’re being unfairly vilified. They have an important job to do under pressurised circumstances and they shouldn’t be judged for prioritising the safety and security of their passengers over service standards. And besides, many of the declining standards have been implemented by senior executives who reap the rewards of inflated profits while flight attendants, just like passengers, suffer. Take the heated debate over American’s tiny bathrooms or the carriers shrinking seat pitch as just two examples. But if there’s one airline that seems to court bad publicity more than any other, then it would have to be United. The infamous Dr David Dao ‘dragging incident’ last year was pretty much as bad as it gets, yet the carrier attracted even more headlines this year when a small dog died onboard a flight when it was placed into the overhead locker. Executives at the airline must be dismayed – United is currently in the midst of a huge investment programme. It’s (still) rolling out an updated ‘Polaris’ Business Class cabin across its international aircraft fleet while renovating premium lounges and trying to improve some elements of the onboard experience with nice touches like signature cocktails. And it’s at this point that things appear to have gone wrong yet again. Zach Honig, Editor-at-large at travel website, The Points Guy was recently taking a personal transcontinental flight with United in its Business Class cabin. Zach was taking a personal trip but as always, he decided to share his experience with his Twitter followers. Things didn’t get off to a good start when he decided to order United’s recently launched pre-mixed signature cocktail, The Old Fashioned. According to Zach, the flight attendant initially refused before finally relenting and getting the drink. Now, it appears the flight attendant may have been confused – the drink has only just been launched and there’s every possibility he didn’t realise there were any loaded on this flight. Unfortunately, Zach noted in a later Tweet that he saw another flight attendant eating the candied orange peel that should come with the drink – suspiciously missing from his first two drinks. What really surprised us about this incident, however, was the fact that the male flight attendant was wearing headphones around his neck while serving Zach. And according to FlyerTalk, this isn’t an isolated incident with other readers noting they’ve experienced the same accessory adorning flight attendants. It’s worth pointing out that headphones aren’t part of the United Airlines uniform and we’re struggling to think of a situation when it would be acceptable to wear headphones. “Everyone wants to work for a winning team and be respected as the professionals we are. A large part of achieving that goal is looking sharp from head to toe,” the email read. “Over time, we became too relaxed in our standards and appearance compliance has suffered. As we move toward uniting our workforces and focus on improving the image of United Airlines, it’s the perfect time to raise the bar and own this,” wrote John Slater, United’s vice president for in-flight operations. On this occasion, the wearing of personal headphones didn’t make the list. Zach’s Tweet’s created somewhat of a Twitter storm with flight attendants taking a stand on behalf of their colleagues. And then the story was picked up by Fox News – at which point things got really crazy. Let’s be clear – flight attendants have a much tougher job to perform than many passengers are aware of and they’re undoubtedly under pressure. Yet, if anything, this incident just goes to show how seemingly minor indiscretions (like the wearing of headphones) can create a negative impression that’s hard to come back from.